Although I adore straight makeup, I found myself utterly fascinated with the process of creating and applying prosthetics, especially after learning the techniques in makeup school. Someone else who shares my passion is actress McKenzie Westmore, who literally grew up surrounded by it. (Speaking of Passions, McKenzie is probably best known for her almost 10 year stint as Sheridan Crane on the NBC soap.) She also happens to be member of one of the most legendary makeup families in Hollywood. The Westmores are pioneers in the industry, a makeup power family whose Emmy and Oscar award collection puts even my ruby slipper collection to shame. I got the chance to speak with McKenzie just in time to hear the scoop on the new season of Face Off, a Project Runway type show about special effects makeup, which she hosts. I have been glued to the SyFy channel weekly since the first season premiered in January of 2011. (If you missed seasons 1 and 2, both are available in HD now on Amazon Instant Video.) Contestants get to showcase their work not only to McKenzie, but also to a panel of esteemed judges that includes the Oscar award-winning Ve Neil, artist and department head on some of my favorite films including the Pirates of the Caribbean series, Edward Scissorhands, Mrs. Doubtfire, and countless others. McKenzie called me from California yesterday to chat about the upcoming episodes of Face Off and all things makeup. She told me there is a lot to look forward to in the third season – from the 90 minute Star Wars themed premiere airing tonight – to the upcoming huge challenges, awesome special guests (Brian Grazer and Kevin Smith! ), and top secret mid-season twist. Her great-grandfather invented false eyelashes. I swear by false eyelashes. Always have, always will. Now we know we have Mr. George Westmore to thank for that! He also established the first movie makeup department, made wigs for English royalty, and fathered three generations of highly successful makeup artists. No big deal! McKenzie dabbled in makeup before ultimately following her passion for acting. “I did a couple of courses here and there. There was a period of time when I was going to go in that direction and follow in the family footsteps,” she said. After that she discovered that her true calling was acting. Since then McKenzie has worked both stage and screen, with roles in shows from Friends to Dexter. Robert De Niro got her her first film role. McKenzie’s dad, famed makeup artist Michael Westmore, worked with him at the Westmore home lab in preparation for De Niro’s makeup in Raging Bull. “My dad was doing his makeup for the film and Robert would basically babysit me as my dad was running his prosthetics,” she said. The pair developed such a great rapport that De Niro asked if she could play his daughter in the film. She sculpted aliens for Star Trek. Well… sort of! Her dad started work on the Star Trek franchise in 1987 when McKenzie was 10 years old. “Sometimes he would sculpt in the dining room! Once he was working on an alien head for Star Trek and left it unattended… I started sticking stuff everywhere like a kid would! Instead of getting upset, he liked what I had done and kept it in the final piece,” she said. Her dream role would be to star in a movie musical. A musical theater lover at heart, McKenzie thinks a role in a movie musical would be the greatest combination of her favorite aspects of performing. “My ultimate dream would be to be in a musical movie like Moulin Rouge or Grease,” she said. Until her big musical movie debut, you can catch McKenzie in the new horror flick Vile, out on DVD Sept. 11, and of course, on season three of Face Off. A girl after my own heart! 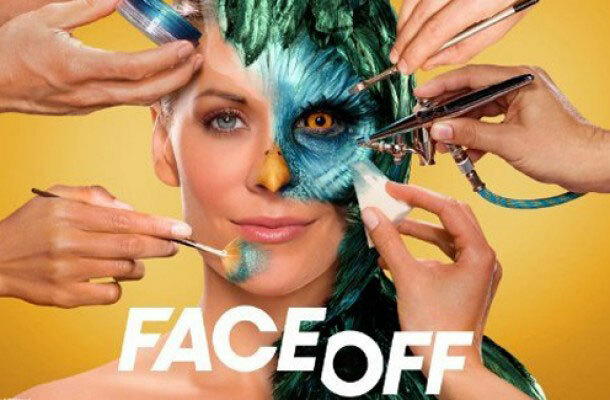 Watch McKenzie and the rest of the bunch on the season premiere of Face Off tonight at 9 p.m. on SyFy.